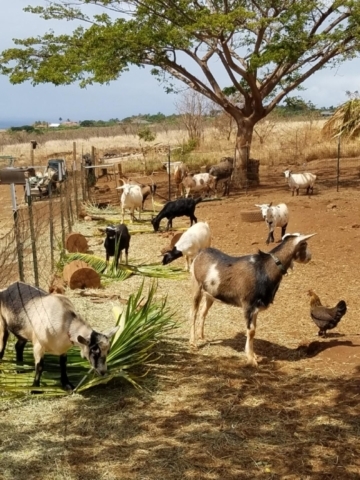 Aloha and Welcome to Maui Animal Farm! 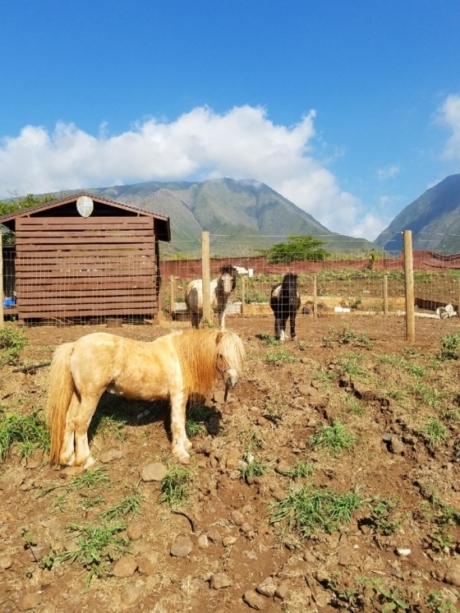 Maui Animal Farm creates the perfect outdoor environment to make new memories. 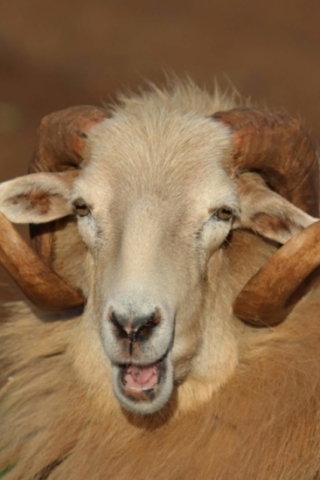 We provide an enjoyable petting zoo experience you will share and remember with your family for the rest of your life! We are located out on the hills of West Maui in breathtaking Launiupoko, with views of cloud misted mountains, beautiful rainbow skies and sparkling ocean waters surrounding our neighbor islands. Grab your camera, your friends and family and some comfortable shoes and meet our Maui Animal Farm ohana (family). Remember, we need to know you are coming, so please make your reservations online. To share our love through experience and education of animals and their importance to the culture, history, and agriculture of Hawaii. To provide a heartwarming experience with the animals that will bring smiles and laughter to both the keikis (children) and their parents creating a memorable event you will cherish for life. 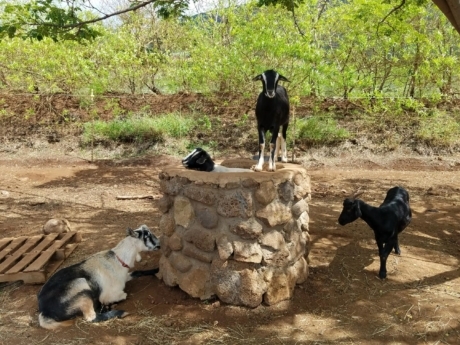 Our wonderful tour guide(s) will share the rich cultural story of farming here on Maui and the history of the arrival of animals to the Hawaiian Islands. 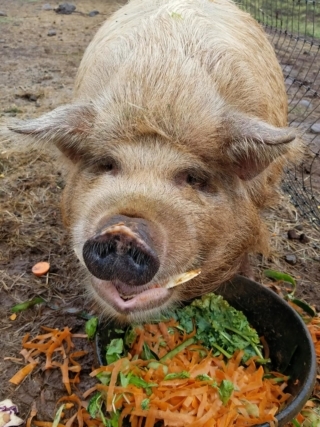 COME and see our amazing RARE and COMMON farm animals. Learn the difference between goats & sheep, and feed them. Look at those eyes! Look at those tails! Meet & feed the chickens! Learn interesting facts about chickens, roosters & their eggs. See the different colors and sizes of eggs. 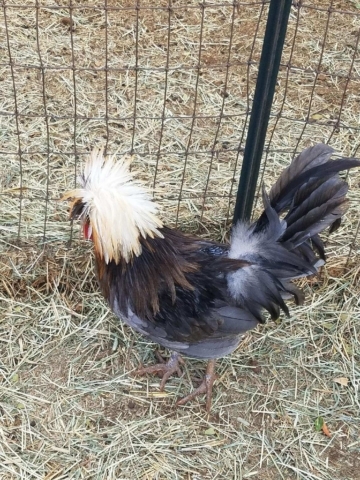 Designer chickens? 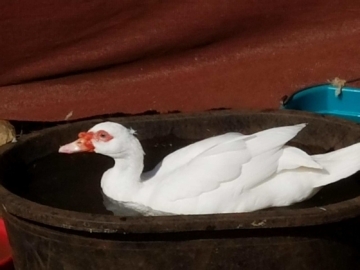 Are those feathers on their feet? 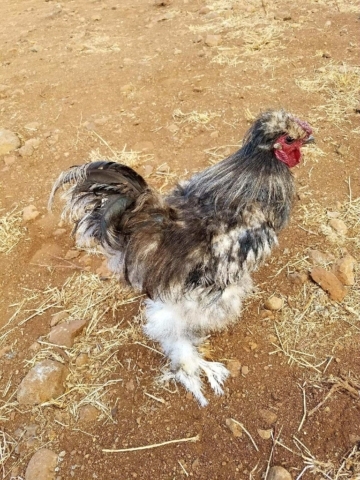 See our beautiful rare breed of chickens! (His name means “Happy” in Hawaiian) He smiles when you rub his tummy! You can even give him a piggy bath. 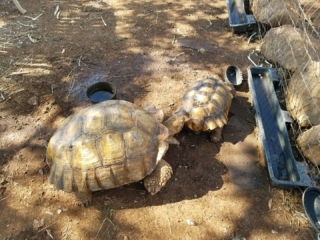 Learn about our rare red-footed tortoises & “Tonka” our 100lb. desert tortoise. Let’s have a tortoise race! 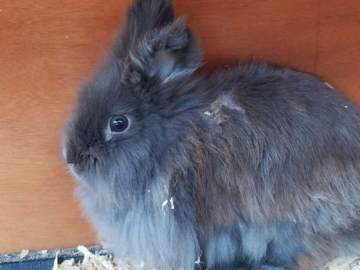 Pet our soft bunnies, cuddly guinea pigs and friendly goats. Enjoy giving carrots to our miniature horses Rebel, Kisses, Baby Doll and our Donkey, Elsie Mae! 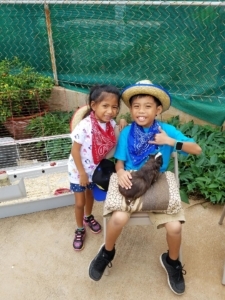 The Maui Animal Farm and Petting Zoo (Formerly Lahaina Animal Farm) is the perfect location for Birthday Parties and Private Family Gatherings.